In the news this week: Dassai moves to New York and hopes if sake can make it there, it can make it anywhere. Meanwhile, it’s the Avengers of Sake as a band of five breweries in Niigata City assemble to tackle a tree-killing parasite. Then, Fukui hopes to shake up the sake world with a whole new variety of rice poised to hit the market. Asahishuzo, makers of the famed Dassai sake, held a groundbreaking ceremony for a new brewery in the upstate New-York town of Hyde Park. The event, held on November 12, included introductions of key members, prayers for an incident-free construction, and a sake tasting. If all goes to plan, the new Asahishuzo brewery will be completed in 2020. The sprawling 62,000 square-meter complex – to include a rice polishing facility – will stand on the site of an old supermarket, and will have the privilege of facing the prestigious Culinary Institute of America’s main campus. 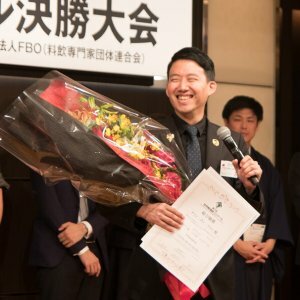 The proximity to the world’s finest chefs in training, and some of the planet’s greatest restaurants, puts the brewery in a unique position to raise awareness of sake’s appeal in international cuisine. 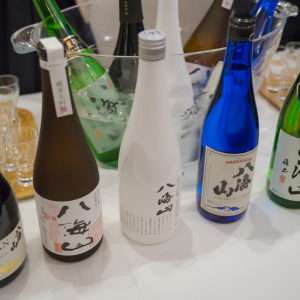 In a shared love for their homeland, five sake breweries from the Nishikan Ward of Niigata City announced plans to work together in a special forest conservation project. The “Nishikan Five-Brewery Association Forest Conservation Project” involves Echigo Tsurukame, Takarayama Brewery, Sasaiwai Brewery, Minenohakubai Brewery, and Yahiko Brewery, with each company to contribute a portion of their profits to cover the project’s expenses. Pine wilt, a disease caused by a type of microscopic worm, continues to kill trees in Nishikan and Japan at large. This conservation effort aims to strengthen pine trees’ resistance to these parasites naturally by altering the microbial environment of the soil. This involves scattering beneficial microorganisms by helicopter over forested areas. 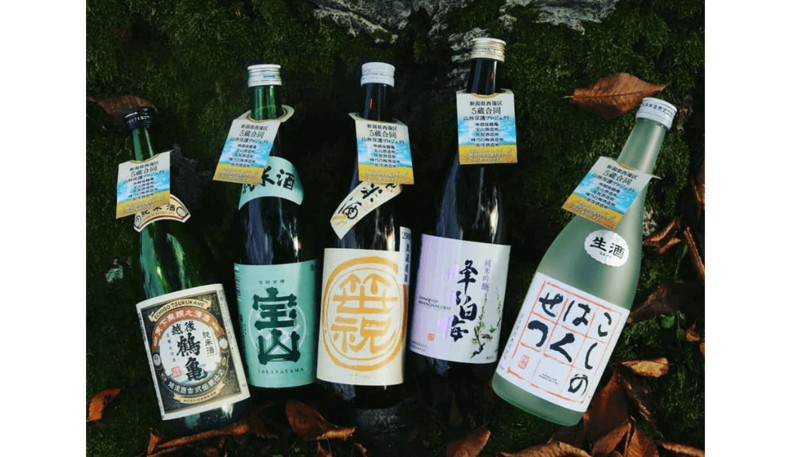 It’s a great example of companies working together for a common good, and you can help too by simply buying and enjoying a brand of sake from one of these fine Nishikan breweries. Fukui worked with table rice brand Ichihomare to conceive the new strain. Sakahomare’s producers hope it will transcend brand names and gain a reputation as a sort of category all its own, like Hyogo Prefecture’s Yamada Nishiki rice. This may explain the prefectural government’s vested interest in promoting Sakahomare. Such a must-have product would elevate the whole region’s reputation as a sake power player with a specific terroir not found anywhere else. It will take a little longer for brands made with Sakahomare to hit the market, but keep an eye out for the name. It might just be the next big thing in sake!